Many non-profits and associations, especially all volunteer or small staffed ones, are looking for ways to cut or save money these days. And one place to do that may be staring you in the face at your desk. It is your telephone. Specifically, your land line telephone. Everyone (almost) now has a cell phone. Volunteers. Officers. Staff. When we are away from the office, we still want to be in touch. Many organizations pay or reimburse the cost of these cell phones for their workers. Why does your organization still pay for land lines in the office? If my experience is any guide, they are not used as often as cell phones are. 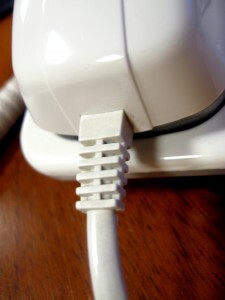 In my organization, landline costs were averaging over $300/month. That was $3600 a year plus what was being paid out in cell phone plans. If you need a central number for members and/or the public to call, consider outsourcing that to call center which will receive inquiries and then route them to the appropriate person’s cell phone. In the meantime, check out the feasibility of saving your group some serious money that can go to programming and member services instead by cutting that landline.